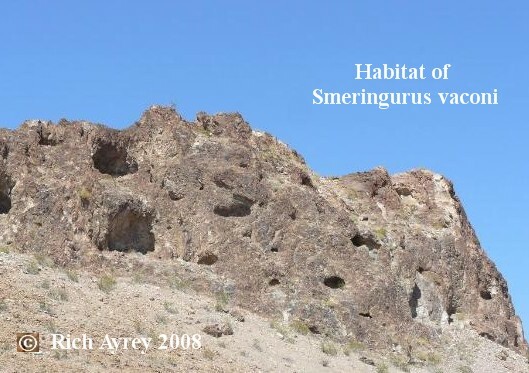 I photographed this Smeringurus vachoni recently in Western Arizona. I found it using one of my A49 Scorpion Blacklights. It was at 1,500 ft elevation on a hill side, on it's side, in a crack between two rocks. The total length is approximately 3.5 inches. I am fortunate to have photos of Smeringurus vachoni. 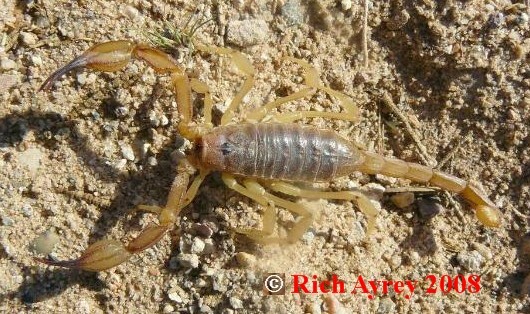 This Arizona Scorpion page created 03/28/08.